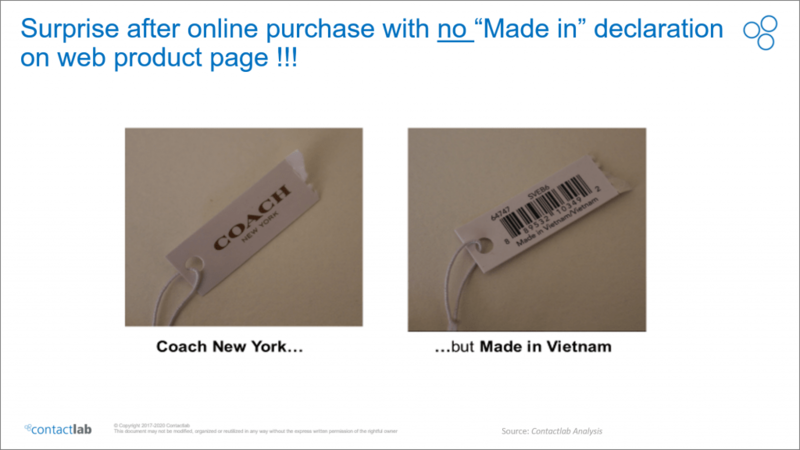 …and represents an important selling argument for local E-tailers and Department Stores. 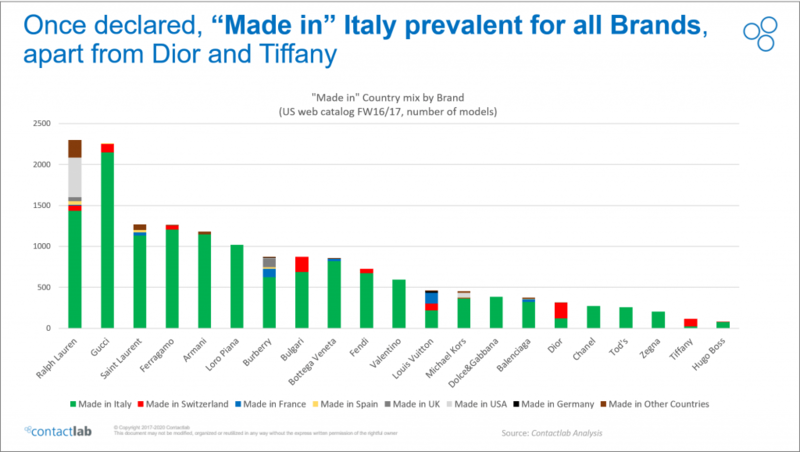 …while Premium brands Armani, Ralph Lauren, Michael Kors and Mega Brand Burberry worsened in transparency eliminating the “Made in” description once items are not produced in Luxury Heritage Countries (e.g. 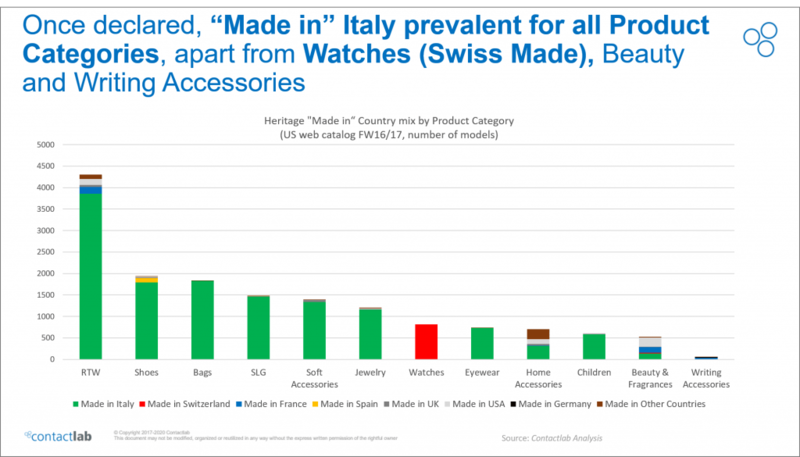 Italy, France, UK, Switzerland, …). 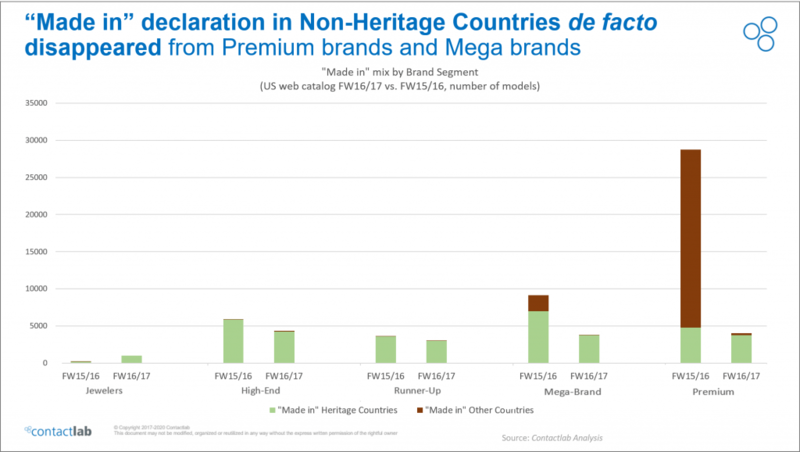 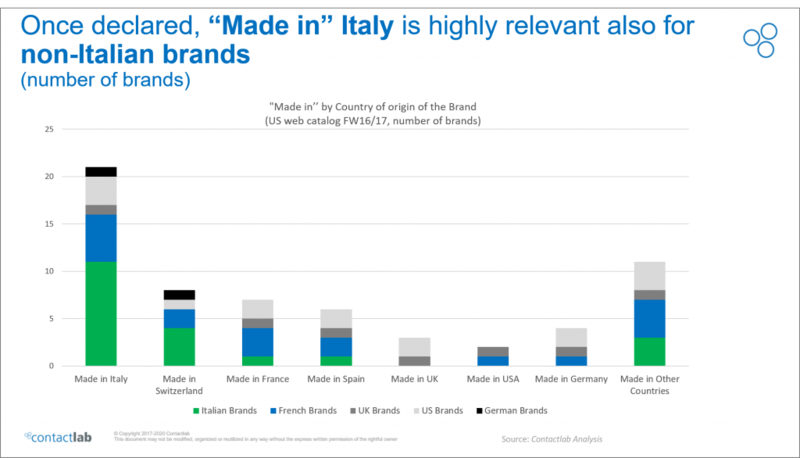 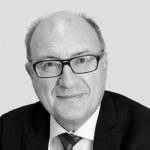 A radical shift in “Made in” policy declaration on web happened in FW 16/17: all brands are moving towards declaration only if items can be described as produced in Heritage Countries. 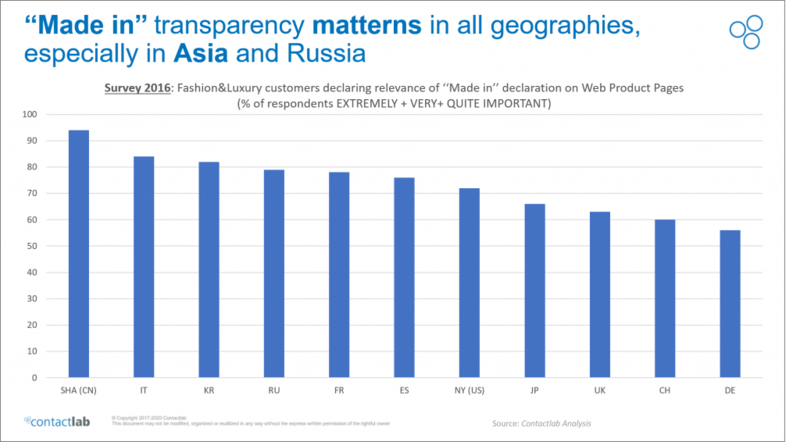 Among Mega-Brands Gucci is the most virtuous, while on the contrary Hermes and Prada are not disclosing “Made in” at all. 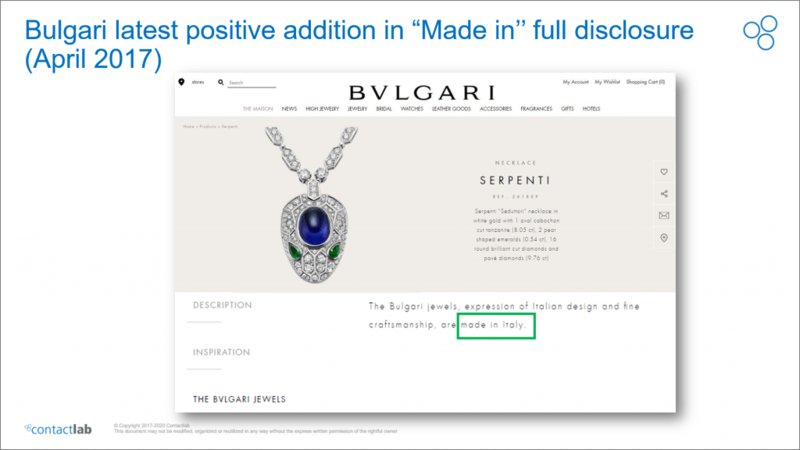 Among Jewelers Bulgari is the most virtuous, while on the contrary Cartier and Tiffany are very marginally disclosing “Made in” origin of products. 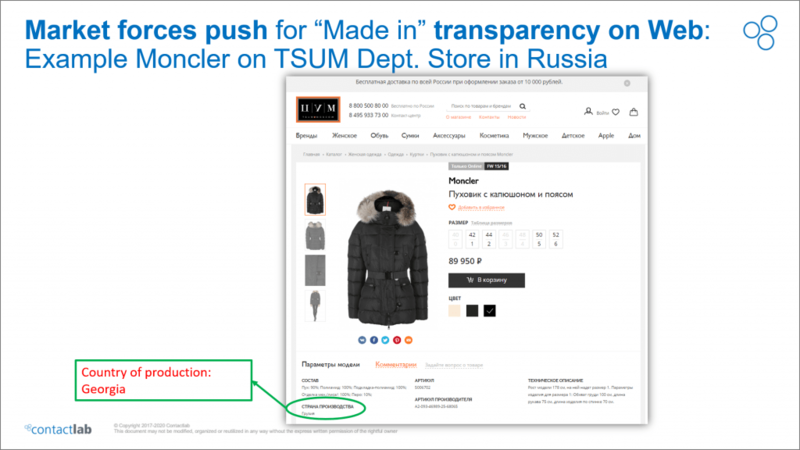 Customers shopping in store can easily check the “Made in” origin on the product tag: why are online Fashion & Luxury customers often not granted the same level of information and transparency?